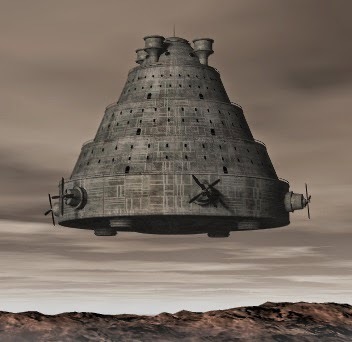 Home Ancient Science & Technology First aircraft was build by an Indian? 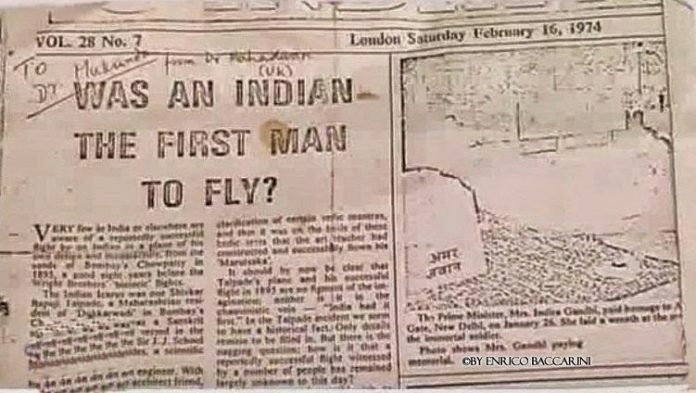 First aircraft was build by an Indian? The Wright brothers, Orville and Wilbur, are acknowledged to have invented and built the world’s first successful airplane and made the first controlled, powered and sustained flight in 1903. However, in 1895, an Indian, Shivkar Talpade, a drawing teacher from JJ School of Art in Mumbai, is said to have flown an aircraft, Marutsakha, on Girgaon Chowpatty. Shivkar Bapuji Talpade, an Indian scientist and a Sanskrit scholar along with his wife at chowpathy beach was found more excited and anxious that day. The people around found that something sensational are going to happen there. Some knew what it was, some did not. Some were putting their instinct to work. A huge mass of crowd has accumulated and among them was Shri Sayaji Rao Gaekwa, who was the Maharaja of Baroda during that time and the most influenced famous scholar justice Mahadeva Govin-da Ranade. Everyone there was waiting with anxiety and before that anxiety drowned that miracle happened. Yes! The world’s first unmanned aircraft named Marutsakhā was thrown into the space and it tarred the sky at a velocity of about 40,000 Km/hr. After reaching a height of more than 1500 feet it landed safely without any damage. Between the hustle, talpade was literally appreciated by Maharaja at that moment itself. It was Maharaja’s happiest moment for which he has been waiting for long period. The News was then published in the famous News Paper “Kesari”, the next day. After the news release in the media, few years later Talpade and Sasthri were jailed by the British Government. Maharaja was warned literally. Few years later, after talpade returned home, his wife passed away and he withdrew his research. After his death in 1916, it is said that his relatives sold some of his important works to few German people. 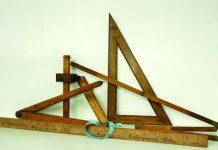 A model reconstruction of Marutsakhā was exhibited at an exhibition on aviation at Vile Parle, and Hindustan Aeronautics Limited has preserved documents relating to the experiment. Shivkar Babuji Thapled from his childhood developed his dreams of flying and getting into space. He was a great Sanskrit scholar and started searching the possibilities of man flying in the space in ancient Indian scripts, Vedas. He thoroughly learned the ancient scripts containing Vimanika Sasthras (Aeronautics Theory). On that fine morning, Talpade was lucky enough to meet Shri Suparaaya Sasthri. Sasthri gave him a bundle of treasures which contained sutras (formulas) of making an aircraft, written by the great rishi Bharadwaja. After this incident Talpade continued his work more seriously than before. Maharaja provided the funds necessary for his project. It may be too hard to believe that modern day aircrafts and even most advanced one are discussed in Vedas which are written some 10,000 years ago. But, Talpade was fully dependent on Rig Veda and Vimanika Sashthra only. Marutshakha was the first model to have an Ion Mercury Vortex Engine. The Vaimanika Shastra describes in detail, the construction of what is called, the mercury vortex engine the forerunner of the ion engines being made today by NASA. The information on the mercury engines can be found in the ancient Vedic text called Samaranga Sutradhara. This text also devotes 230 verses, to the use of these machines in peace and war.